Although a marriage has spoiled, parents must take every step to protect the fruits of that marriage. Whenever a couple goes through a divorce that includes children, the matter of deciding child custody can often be difficult. Make sure you have an experienced and trusted attorney with an in-depth knowledge of Massachusetts child custody law fighting on your side. Divorce Attorney Susan T. Perkins can work with you to ensure you leave the court with a decision that works for you and your child. Under Massachusetts child custody laws there are two kinds of custody: legal custody and physical custody. The law divides these two kinds of custody into two separate kinds: sole custody and shared custody. Let’s take a look at what these mean in the context of Massachusetts child custody laws. One parent can make decisions for a child under sole legal custody. This means a parent does not need to receive consent or agreement from the other parent. The decisions this parent can make include all decisions that affect the welfare of the child: education, religious affiliation, medical treatment, etc. Shared legal custody states that both parents have an equal right to making decisions for the child. These decisions can range from the most important ones like education and medical care to where a child takes swimming lessons. When a couple files divorce proceedings, the court immediately awards shared legal custody. According to Massachusetts child custody laws, the court can overrule this situation. It will do this if one of the parents poses a threat to the happiness or welfare of the child. The court proceedings will then determine if a child will live under shared legal custody. When the parents decide to pursue shared legal custody, they must present the court with an action plan. This plan details what the parents will do about the child’s education, healthcare, etc. It also details how the parents will resolve future disputes. In some cases, the parents cannot reach an agreement. Consequently, a judge may award one parent “tie-breaker” status. Therefore, shared legal custody with a “tie-breaker” often resembles sole legal custody in practice. Massachusetts child custody laws can provide one parent with sole physical custody, meaning that the child will reside with that parent. The other parent will have visitation rights that the court deems reasonable, but the day to day care and housing of the child is the responsibility of one parent. The court must agree with a proposed visitation schedule. There are several ways visitations can be structured. Often, as many have opted for in the past, this schedule looks like one night of dinner a week with every other weekend provided for extended visitations. Today, the court recognizes many other options for visitation. The best option for the child will be settled on. Under shared physical custody, a child will spend an equal amount of time under the roofs of each parent. However, there are many ways this can work out, and it’s impossible for an exact fifty-fifty split. An experienced lawyer can help you make sure the judge agrees on a settlement that works best for the child and you. In addition, as with shared legal custody, parents must submit a shared physical custody implementation plan to the judge that outlines how the child’s happiness and welfare will be best served. In Massachusetts, if a couple is married, they immediately share legal and physical custody of the children. However, if the parents are not married the mother immediately receives sole legal and sole physical custody of the child after birth. Only a court can amend this custody. The court will award shared custody if both parents agree. In addition, if the court finds that both parents took responsibility for the child before the case came to court, shared custody may be awarded. Massachusetts child custody law mandates that the court must make custody decisions with a child’s happiness and welfare as the primary consideration. If you are thinking about getting a divorce or have recently filed for a divorce, make sure you have legal representation to fight for your rights as a parent. Susan T. Perkins has years of experience making sure parents get a fair deal in court. The happiness and welfare of your child and you is very important. 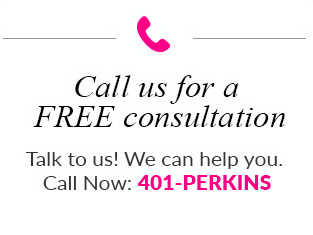 Contact Attorney Susan T. Perkins for a lawyer who will support your fight. Law Offices of Susan T. Perkins Esq. © 2019 , Inc. All rights reserved. Website developed by Shark Bite SEO.